Dramatic with a dainty feel, these Art Deco chandelier earrings make a vintage statement. Embracing geometric lines from the iconic Art Deco era of the 1920s, our glittering Gatsby Desire Earrings ooze Flapper style with effortless ease. Beautiful chandelier earrings featuring a central rectangular clear crystal surrounded by a geometric design encrusted with a myriad of sparkling clear petite crystals, they make a vintage style statement. Capturing the delights of the Great Gatsby era, these beautiful silver tone earrings will look divine accessorising a floor length figure hugging down for a glitzy black tie ball. 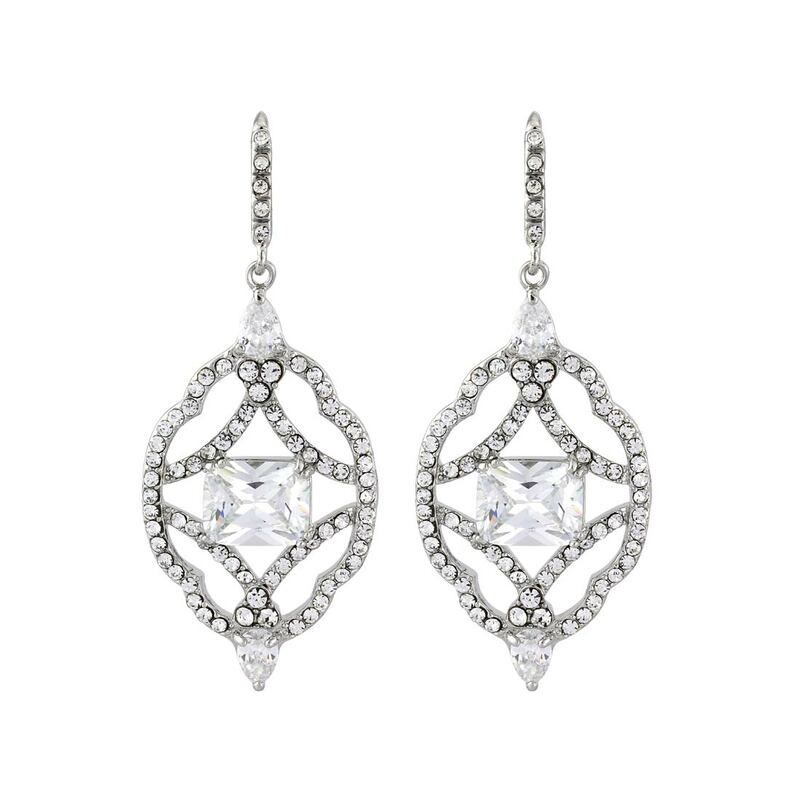 Brides who have fallen in love with the Roaring Twenties glamour will adore the elegance of Gatsby Desire Earrings. Wear with a 1920s style drop waist gown and coordinate with a beautiful feather bridal headpiece for statement style as you glide down the aisle.